As any one of the PURE FUNK ADVANCED team will tell you, Major Lazer's 'Pon De Floor' is an awesome track (it was one of the songs in their end of year routine). So why shouldn't Diplo and Switch rejig it and give it to Beyonce to turn it into the massive hit it should've been the first time the first time around? 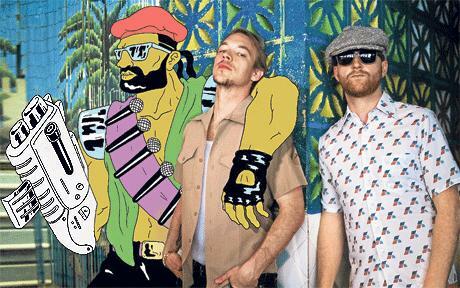 Having heard 'Pon de Floor' as many times as I did, I'm a bit ambivalent about this version, but I give it my approval to go No.1, but only if it means Major Lazer get some shine. The Neptunes are a long way from the days when the Clipse were 'Grindin' and Nelly was getting people to take off all their clothes. Why aren't they hitting the charts like they used to? Probably because Chad and Pharrell are too busy these days scoring movies, doing the N.E.R.D. thing (and touring it), selling clothes and doing cameo's in Get Him to the Greek. But if you wondered if they still had chops, check out these two recent beats, one for Pusha T and the other for frequent collaborator N.O.R.E. 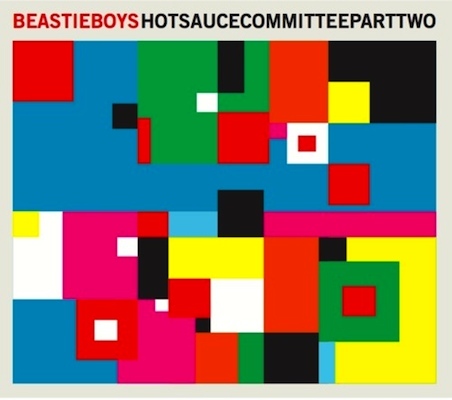 Another new track from the Beasties, ahead of the May 3rd release date for Hot Sauce Committee Part 2. Also, something mysteriously Beastie related is happening live on this link right HERE, at 10:30am US time, which unfortunately is something like midnight over here. But if you're keen, let us know what happens! You've heard the words. Popping and Locking. You've seen it on dance reality shows and you're probably picturing somebody doing it right now. But do you know how it started? Today we're going to look at popping. For those that don't know, popping is a dance where basically different parts of the body jerk in time to the beat, giving the 'popper' the look of a funky dancing robot (or Ironman). This technique is done by the 'popper' contracting and then relaxing their muscles in time to the beat. Where did it start? Popping kicked off in the late 60's in California, and more specifically Northern California, in San Francisco, Oakland and Richmond. The style was not known as 'Popping' back then, but was still recognisable as the foundation of the style that we see today. 'Popping' became more nationally known in the mid-70's, when a dancer going by the name of Boogaloo Sam coined the term 'Popping' and put his own unique spin on the already popular style. 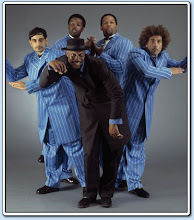 Sam started up the 'Electric Boogaloos' crew in 1978, the same year they appeared on the popular tv show 'Soul Train', giving the dance a much needed boost in profile. After the Electric Boogaloos took it mainstream, different types of popping appeared in other parts of the US, most of which are still key elements of popping technique today - waving, animation, tuttin, scarecrow and strobing. Around about this time, Breaking started blowing up in New York, and it was this point that Boogaloo Sam's success started to dissapate. New Yorkers called their style of Popping 'Electric Boogie' and added it in as a Breakdance move, which didn't sit well with the Popping purists. In the early 80's Breakdance (and subsequently popping) were featured in a bunch of successful movies like 'Flashdance' and 'Breakin', and had massive commercial success, with of course lead to its popularity dying off almost as quickly as it came. As with most Breakdance styles, Popping was looked upon through the late 80's and 90's as a novelty, with the robot a staple dance move at any retro party. It wasn't until the Breakdance revival spread worldwide through the 90's and 00's, that people began to appreciate the talent and skill involved in doing popping well. Today, through the strong networks of Poppers and Popping crews worldwide and the proliferation of popping on TV shows such as America's Best Dance Crew, Popping remains a technically challenging and endlessly fascinating dance style. That's right y'all, those old school punk rap purists The Beastie Boys, have finally released their star-studded clip for 'Make Some Noise', which is basically ripped from their short film 'Party for your right revisited', and work much better as a video than a song. It's a who's who of the comedy world, so sit back, relax and enjoy. Also, Hot Sauce Committee Part 2 is out May 3rd. Get on that. California's Coachella festival is one of the biggest music events on the calendar, and every year it attracts tons of talented acts. Here's three of this years hot tickets. Kanye West, Justin Vernon and a Troupe of dancers perform 'lost in the world'. 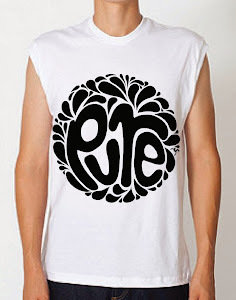 A couple of tracks from re-united early 00's crew Death from Above 1979. I have no idea how to describe this one, I literally can not think of anything amusing to say. The Beastie Boys are finally back, and this would be the first track off 'Hot Sauce Committee Part Two'. Gang Gang Dance's 2008 track House Jam, was one of my favourite tracks of that year, and so any new material from them is welcomed, by me, with open arms. Here is the killa new video, for the killa new track Mindkilla. 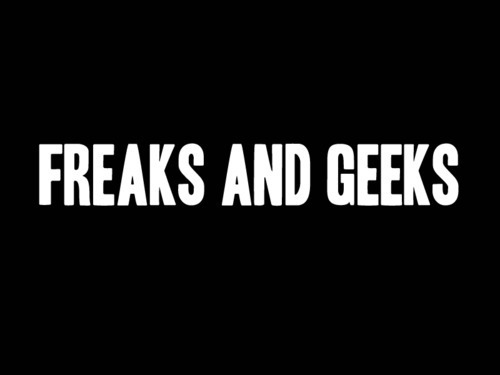 Freak and Geeks is the name of the awesome new single by Childish Gambino. It's also the name of the awesome late 90's tv show starring James Franco, Seth Rogen and Jason Segel. Childish Gambino is the brainchild of Donald Glover, a standup comedian and comedy writer (30 Rock) who stars on the awesome NBC tv show Community. You should get up on all of that stuff. Right now. Go. And a brief clip from Community. Adelaide MC Koolta has won the $10,000 first prize in the Hilltop Hoods initiative which selects one deserving Hip Hop artist each year who the judging panel decides is deserving of a helping hand in the music industry. 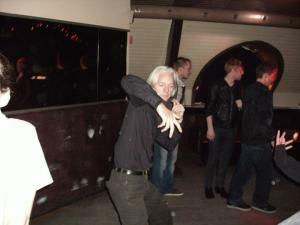 Video: Wikileaks founder Julian Assange owns the dancefloor! Yes, he may be a wanted criminal, denounced by the US for leaking important Government documents, but that doesn't stop Julian Assange from having a good time. Seth Sharp, a techno DJ from Iceland was in the middle of a typical weekend set, when Assange and his posse walked into the club and onto the floor, clearing it for what I can only imagine was a 'She's all that' style dance-off.